UBS, Switzerland’s leading bank, says that it is proving difficult to determine the precise impact anti-migration initiatives could have both on the economy and the country’s relations with the European Union. Nevertheless, the bank did not mince words by stating that not only was the 9 February vote to restrict mass immigration from the EU already proving exceptionally detrimental to Switzerland’s economic future, but the proposed Ecopop initiative on 30 November, which seeks to reduce foreign worker influxes to 0.2 percent, was threatening to make the situation even worse. At the launch of its just-published report: “Relations between Switzerland and the European Union” in Zurich, UBS officials noted that it was “virtually impossible” to assess the fallout that the migration votes could have on EU relations as well as the Swiss economy. According to Daniel Kalt, UBS’s chief economist, much would depend on whether the EU would cut relations with Bern in the event of the abrogation of the June 2002 bilateral accords. The accords, he noted, affect numerous aspects of the Swiss economy. “Not only would its annulment prevent Switzerland from participating in any calls for tender, but their loss would prove difficult to calculate,” he warned. Kalt added that the real “poison” for the economy was the uncertain nature of Switzerland’s current relations with the EU, which represents the country’s largest trading partner. “Companies could relocate or annul their decisions to invest in Switzerland,” he said. Immediately after the 9 February vote, Brussels announced that it would not entertain any form of renegotiation of the bilateral accords if they involved curbs on the free movement of populations within Europe. For Benno Büeler, president of the Ecopop initiative, however, “the bilateral accords will disappear in any case because the Union European no longer believes in them.” Ironically, while at least five cantonal sections of the right-wing UDC party support Ecopop, party president, Christoph Blocher considers it too extreme and threatens the purpose of the 9 February vote, which, he says, seeks to reduce immigration without threatening employment. “It is a dangerous initiative which could damage our country, which is why the people need to vote against it,” Blocher told the Swiss paper, Die Tagesanzeige. UBS estimated that the technical shackling that could arise with EU restrictions against Switzerland could cost the country between CHF 200-500 million a year. Furthermore, with Switzerland relegated to the status of a “third” (i.e. non-European) country, its pharmaceutical industry would face additional charges of up to CHF 300 million annually simply in order to retain the right to export to the EU. 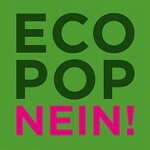 Ecopop – throwing out the baby with the bath water? According to a recent survey conducted by UBS, half of Switzerland’s businesses feel affected by the deteriorating state of affairs since the February vote. Many, too, feel that the chances of renegotiating the accords to Switzerland’s advantage are almost non-existent. 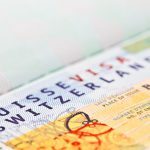 The bank stressed that immigration has been exceptionally positive for Switzerland given that it is partially responsible for the 20 percent growth that the country has experienced since 2005.